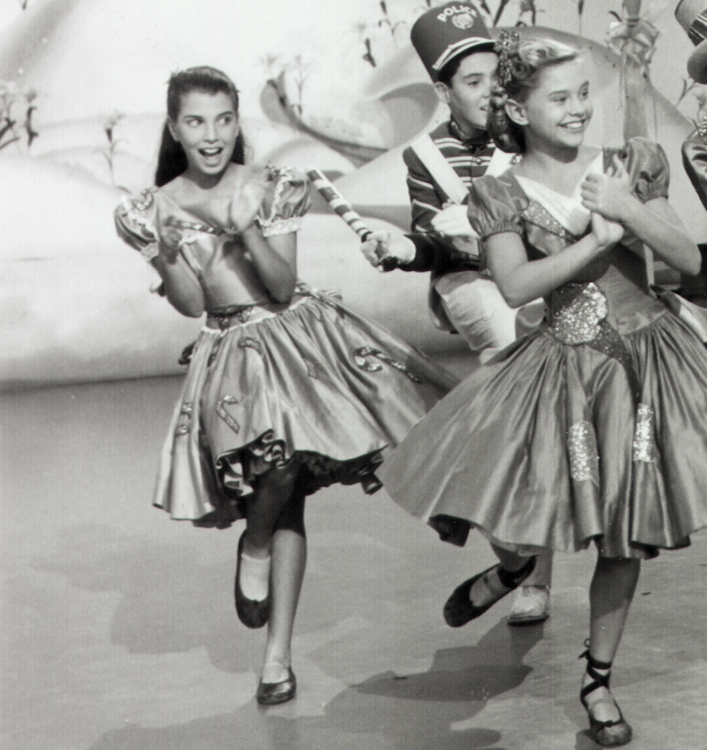 A second season replacement Mouseketeer, Eileen was a specialist in ballet and modern dance. After her one season with the show she left television for film and the stage, and has since taken on the roles of dancer, writer, choreographer, casting director, and producer for regional theater. Eileen Sharon Diamond was born in Los Angeles to Harry Diamond, a real estate broker, and Hanna Thurschwell. 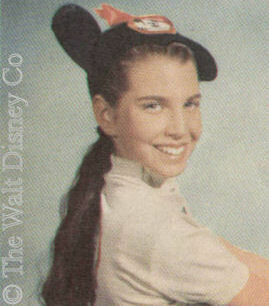 Disney press releases mentioned her skills in dancing ballet and modern, and add that she took lessons at the Rainbow Dance Studio owned by Doreen Tracey's father. She also had taken lessons in piano. 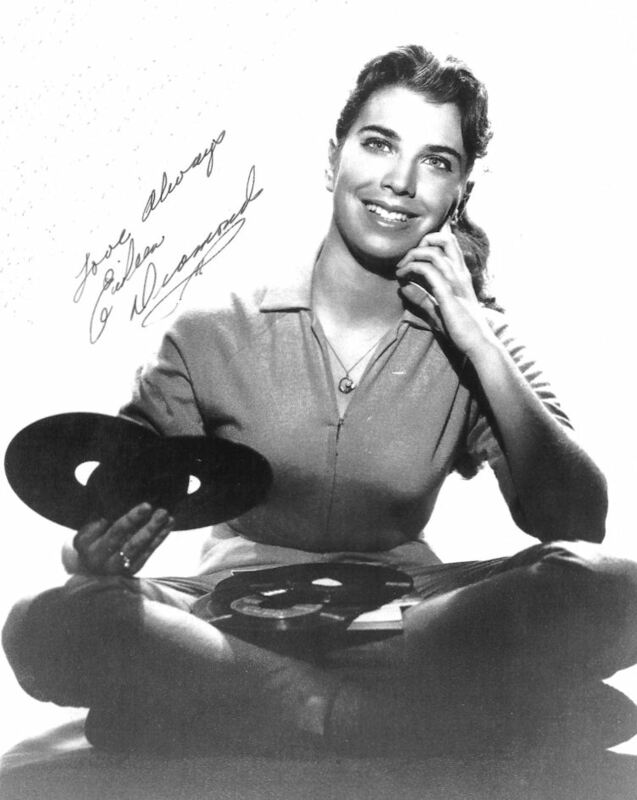 In later years she confided that she first appeared on television as a model for children's clothes, then danced with a ballet company in Hollywood and on television with Eleanor Powell. She recently told interviewer Ana Pacheco that she also appeared with the NYC Ballet's productions of The Nutcracker for two seasons running just before auditioning for the Mickey Mouse Club. 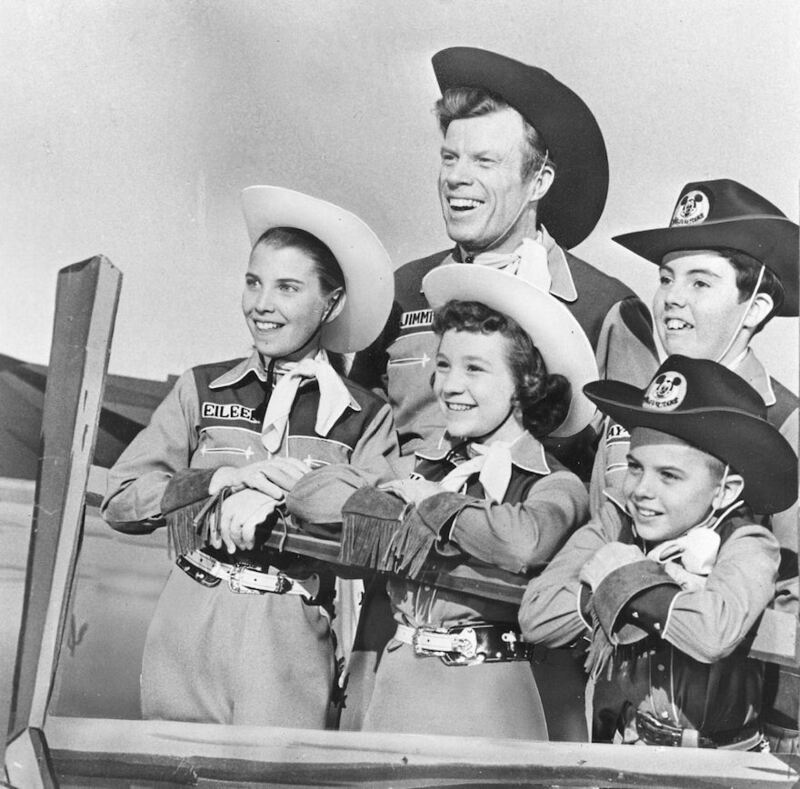 The second season replacements auditioned in the Spring of 1956, were generally signed by April 1956, and had completed all filming by the end of September of the same year. 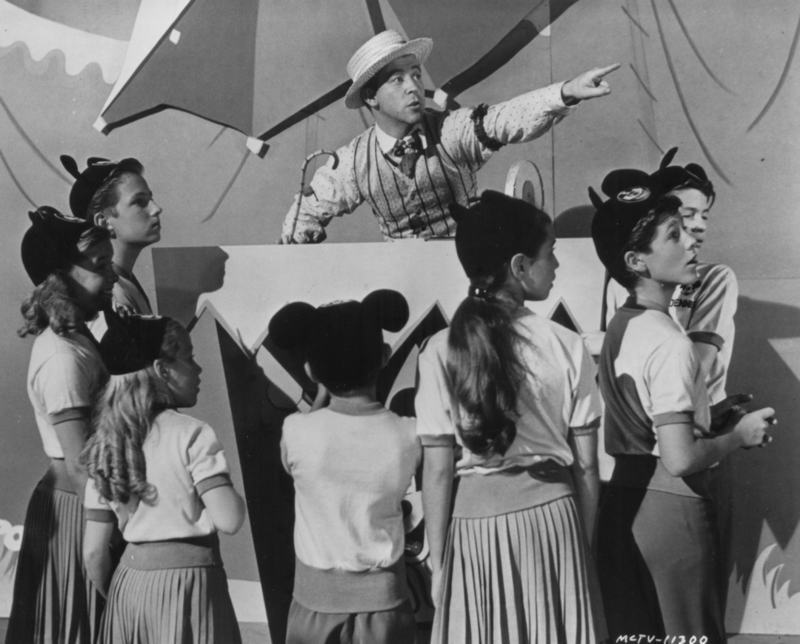 This time frame allowed the producers to center their use in the summer months, when they weren't required to attend studio school. 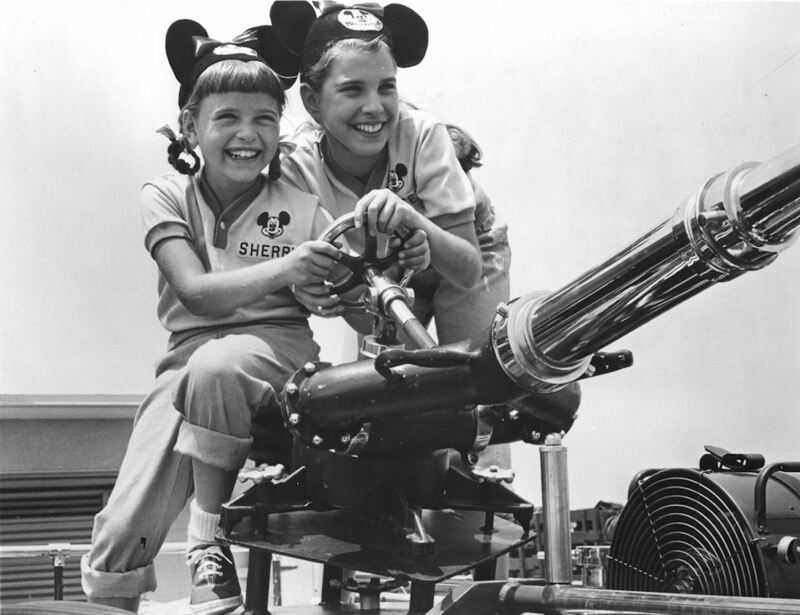 Like Judy Harriet and Doreen, Eileen was of Jewish heritage, and may have initially been a little apprehensive about working at the Disney Studio. 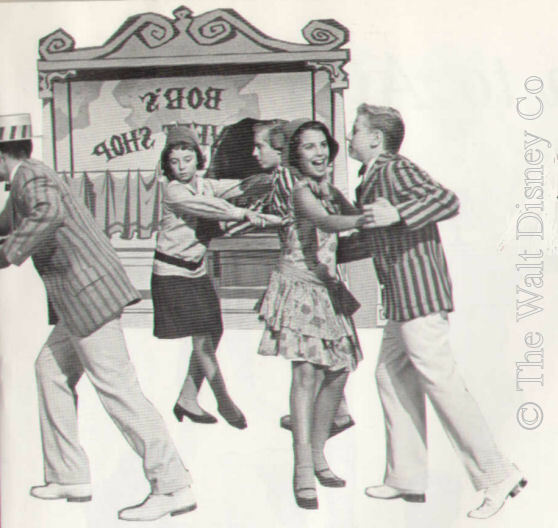 Her dance specialty, ballet, wasn't used much in second season production numbers, and one of the few skits where it was (Basketball vs Ballet), Eileen was stuck in the background, tinkling the keys of a piano. Her fine speaking voice led to Eileen being cast as the voice-over narrator for the five-part Anything Can Happen Day feature Fun with a Camera. 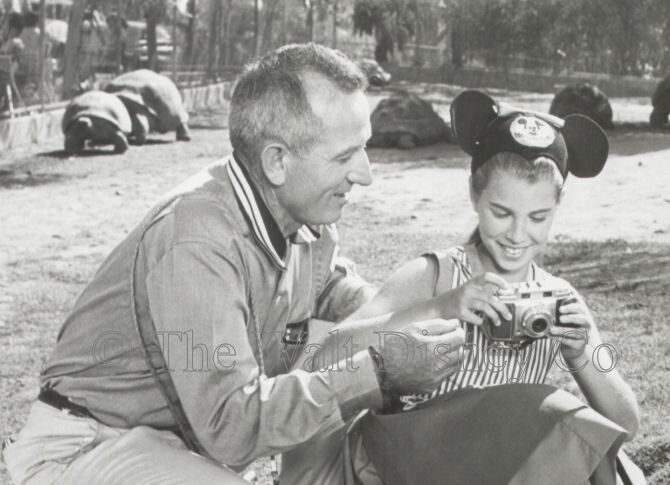 She and three other kids were taught the basics of photography by a professional on location at the San Diego Zoo and Disneyland. 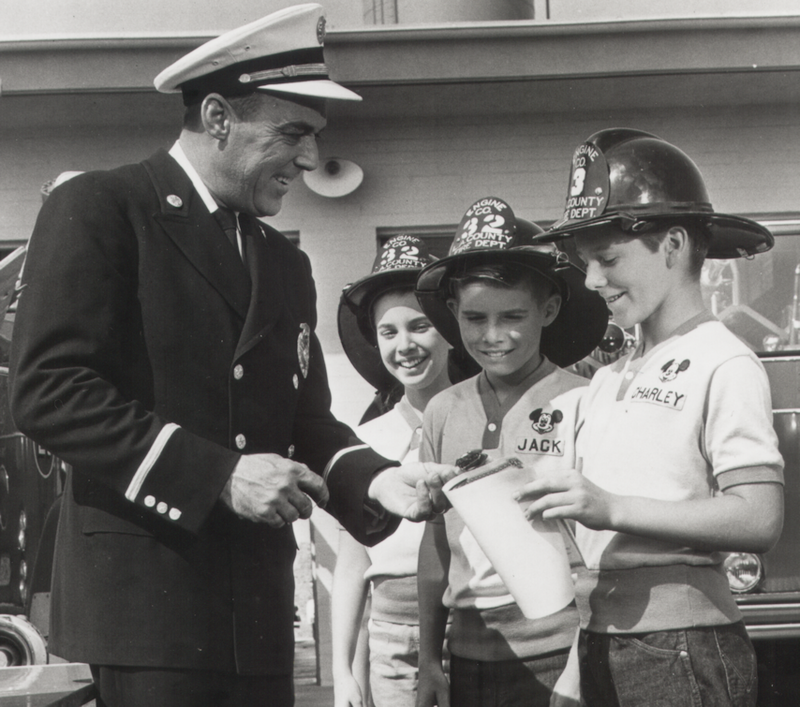 She also was featured in another ACH Day multi-part serial called Rookie Fireman, this time with Walt Disney himself as a co-host. 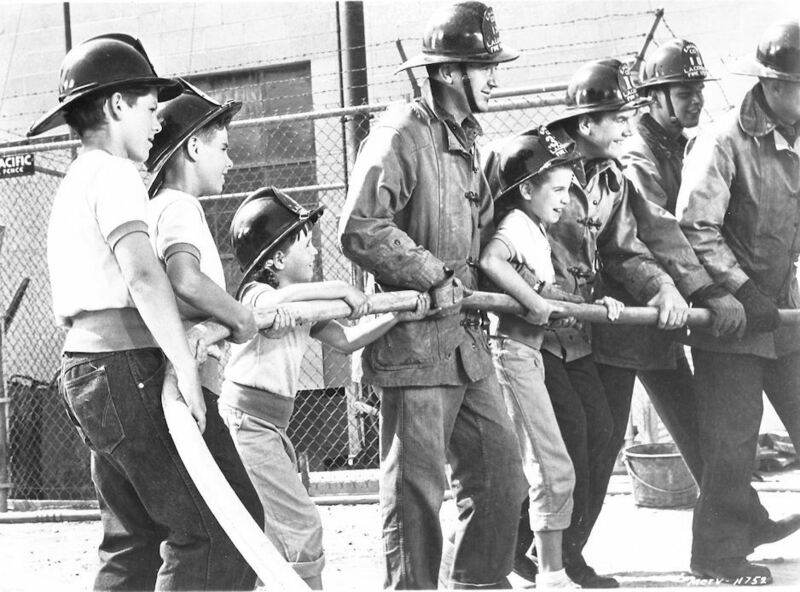 Eileen and three other kids were put through a cut-down training regimen by the Los Angeles County Fire Department. Because of the physical requirements of the program, the kids wore jeans and sneakers instead of their usual dress clothes. 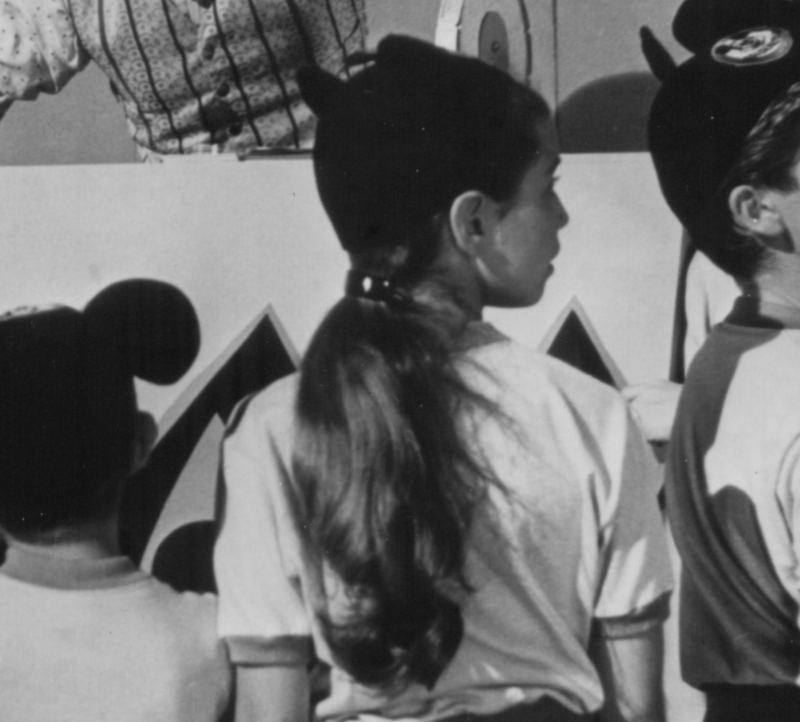 As with all second season Mouseketeers, Eileen's performances with the show are unavailable for viewing on official Disney DVD releases, and were also under-represented among the syndicated shows. She was a very good dancer, as were most of the kids that year, the producers desiring to avoid the problems with non-dancers that occurred in the first season. The show's new choreographer, Tom Mahoney, devised a more demanding repertoire that emphasized couples. Eileen fit right into this scheme, and was generally paired with one of the better male dancers. 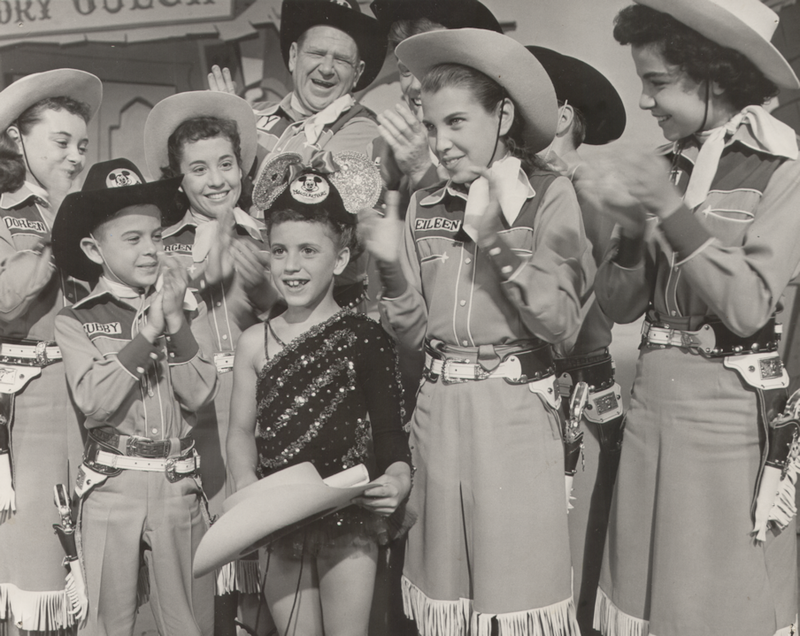 As a Blue team member she didn't appear in roll call, and her camera time often involved sitting on the sidelines as an audience member for circus acts, talent winners, and guest stars. 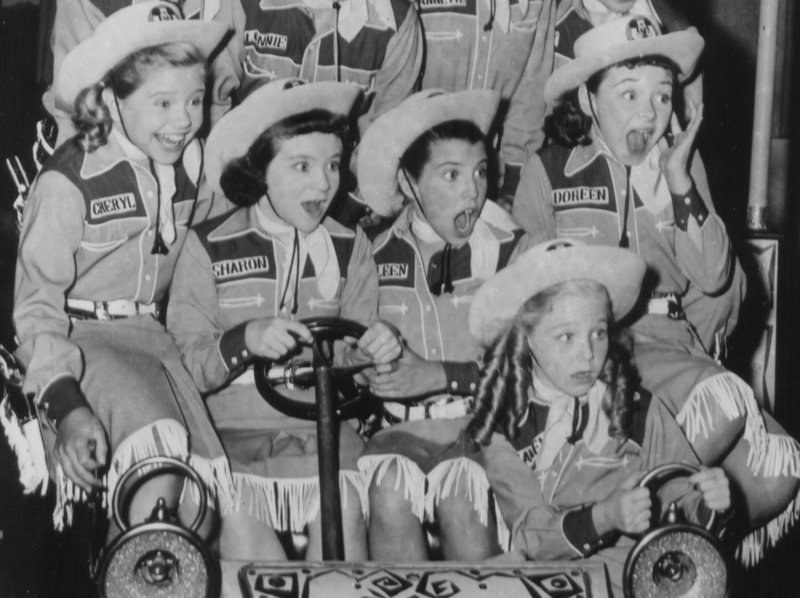 But she also had feature parts in musical numbers such as Polka Dot Waltz, 1925, Land of Me-Oh-My, and The Dogies Danced All Night, and performed live with the whole group at the Hollywood Bowl and Disneyland. 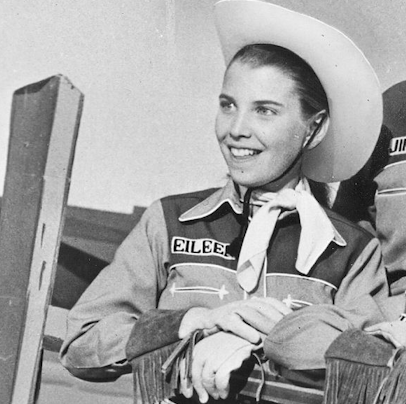 After leaving the show Eileen attended Fairfax High School in Los Angeles. 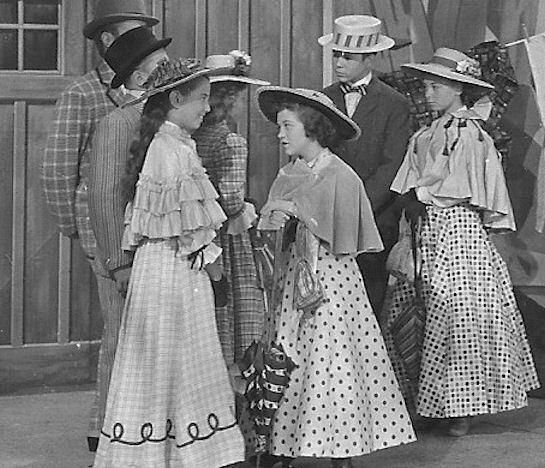 She had a small uncredited part in the film Babes in Toyland (1961), then after graduating from high school, had another uncredited role in The Music Man (1962). She then spent a season with the New York City Ballet under George Balachine, before returning to film with a dance role in Harum Scarum (1965). She also danced and acted in stage productions in the Southern California area, at one of which she met conducter-composer Roy M. Rogosin. They married in September 1964, and now have two adult children. 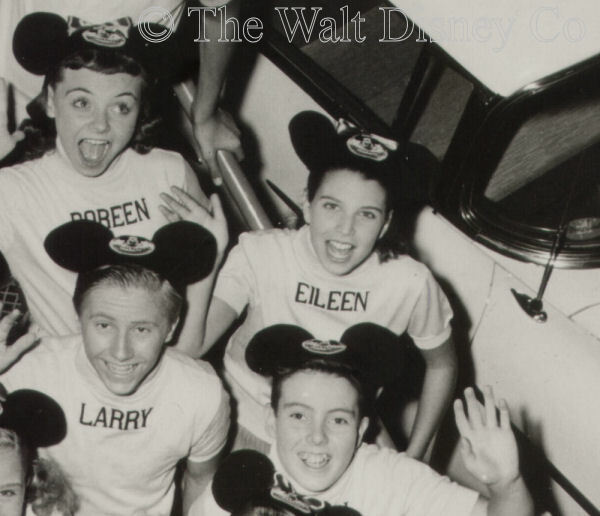 Eileen took part in Mouseketeer reunion activities in both 1975 and 1980, but in 1985 she and Roy decided they needed a change of venue from Southern California. They relocated their family to New England, where a year later they founded the Seacoast Repertory Theater in Portsmouth, New Hampshire. Roy served as artistic director and producer, while Eileen was associate producer and casting director. Eileen also gave dancing lessons to local students and did choreography for local stage productions. Beginning in 1999, the Rogosins split their time between Seacoast Repertory Theater and the Ogunquit Playhouse, where Roy again served as producing artistic director, while Eileen headed up the Playhouse's Youth Program and acted as casting director. She also was the casting director for the film Skeletons in the Closet (2001). In 2005, the couple announced their retirement from both SRT and the Ogunquit Playhouse. They then formed a seasonal creative arts youth program in Kittery, Maine. In 2007, they relocated to Santa Fe, New Mexico, where they both teach various aspects of the performing arts. 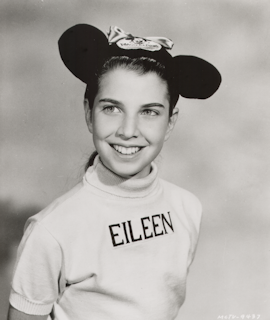 That same year, Eileen appeared on an Entertainment Network special about all three incarnations of the Mickey Mouse Club.